Fondly called as DSP by his fans, Devi Sri Prasad is one of the most sought after music composers of South Indian film industry. In a career spanning over 15 years, he has bagged numerous hits under his belt. 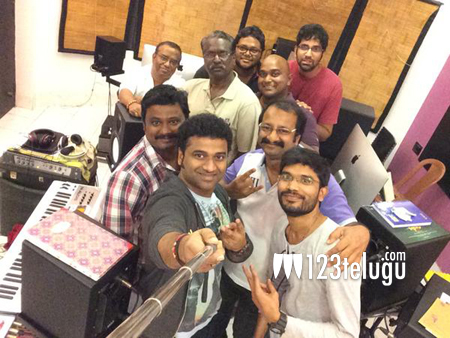 He is now composing tunes for a handful of upcoming films including Telugu and Tamil. As per the latest update, he is now busy working on the background score for the upcoming films ‘Puli’ and ‘Shivam’. Puli stars Tamil actor Vijay in the lead role and Shivam has energetic hero Ram as the protagonist. Both these films will hit the screens in the first week of October.